She gets a lot of grief from me – generally – after all it is my remit being an ironman in training to be tired and grumpy come 8 every night. However she has risen above this, done weekly food plans, been supportive and conquered her own fears along the way. Last year mastering swimming, by taking lessons. This year running and the effect of running. Recently this has cumulated in running outside, on her own after the school run. This has since developed into a little running club of a couple of other mums all going for a run together. Given its been shocking weather this makes me even more proud that she has now been completing regular 5k’s by herself before going back out to run with the other yummy mummy wannabes. As a way of me praising her and giving her additional motivation – well that’s how I sold it – I booked her into doing the sport relief track 5k at the end of March. Everyone needs a goal and all that. The way she is going at the moment she will be sub 9min miles by then. I am proud of the fact I can run a 10k in 43 ish minutes, I am proud of finishing an Olympic distance triathlon in under 2:25 but all of the above makes me even prouder. Plus I have to be nice to her, as if she keeps going like she is I won’t be able to keep up with her soon. Now for the little surprise for her – assuming she reads this – we have a night away arranged in Shrewsbury to watch Chris Ramsey, a hotel and a night of hopefully drunken stupidity. She knows all that already. Now Shrewsbury has many things, which Wrexham doesn’t. Lots of water, lots of cute little shops and also a Parkrun. Myself and sue don’t get the chance to run together – ever. Work, commitments and child care get in the way. So what better way to change this and for us both to run together, than at a Parkrun. So assuming she doesn’t kill me for already signing us both up – we will be breaking are Parkrun virginity’s on the 8th feb.
Little update for you all. Seen as the world and their wife have updated the inspiring blogs I read on a regular basis I guess I should, like a sheep (as I live in wales, which means by default I have to like sheep), follow suit. Well I say everything – but that would exclude the fact that my body seems to generally hate various parts of me again, the niggles remain, the same old issues keep popping up and overall no real progress nutritionally has been made. But you know, it was my birthday and I had to spend it in Scotland alone – seen as douglas wouldn’t come keep me company – so I had a couple of beers and then over the weekend there was cake, chips, burgers, beer, crisps, chocolate, soreen, beer, pizza. 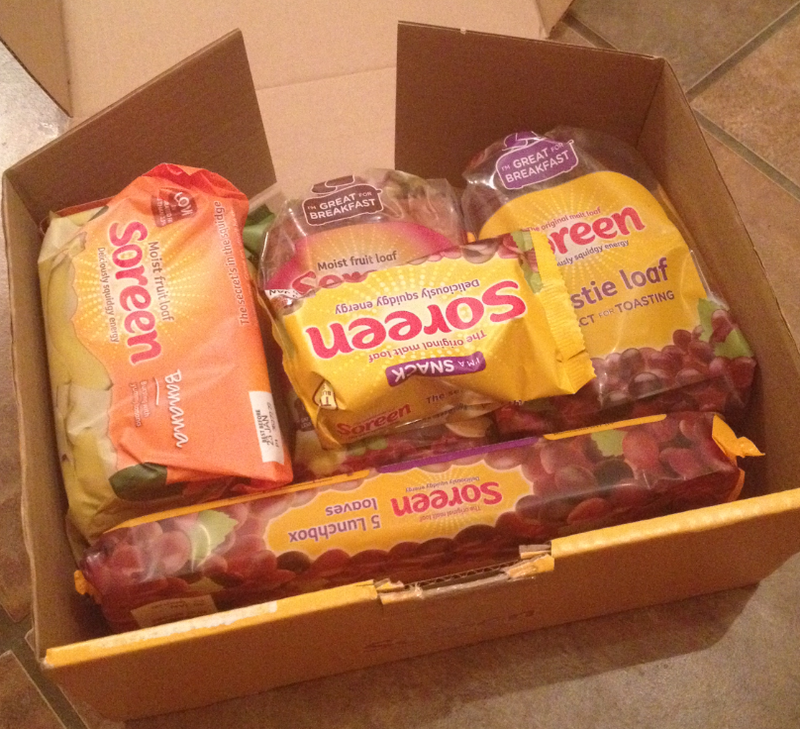 Speaking of which – I have given @SoreenHQ quiet a lot of grief over the last couple of months due to the non-arrival of my goody box. I watched patiently as other less worthy twitter buddies received and gorged themselves on the squidgy moistness of a freebie box. But after 2 months my box finally arrived. Granted 30% of it was out of date due to royal mail screwing it up, but that’s one of the joys of it – it still tastes bloody good a few days past its best. I know I struggle when I have treats – a treat turns into a treat day, which turns into a treat weekend and then before I know it I am a week later and 4 lbs heavier. So for me generally I work better when I don’t have anything deemed treat like – chocolate for instance. Beer is fine, I mean Guinness is an essential part of recovery, as we all know. I have stumbled across a good breakfast though which is keeping me fuller for longer and I think (hope) aiding my recovery after my early morning sessions. The recipe is as follows; 30g of vanilla protein powder, 30g of oats, ½ pint of milk, ½ pint of water, 2 large handfuls of fresh kale, a teaspoon of honey or peanut butter, ½ frozen banana. 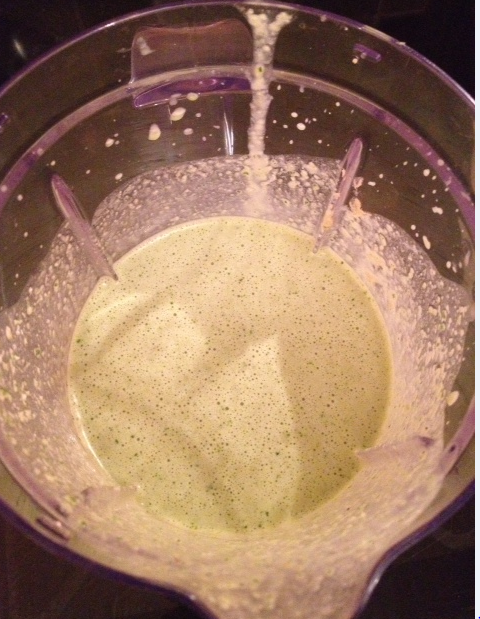 Blend for as long as it takes to mash up and drink straight away – makes about a pint and a half. This tends to keep up full till midday and definitely longer than a bowl of porridge. Hopefully this will aid the timber loss going forward and it makes me feel smug to think I am eating well first thing, after training well. Shame my nutrition often goes downhill after lunch. I am awaiting with baited breath for my standard kit from 9bar to arrive along with the first batch of goodies from there to keep me training this year. Then later in the week I hope my other non-branded items will arrive, so I can get them branded up and put into use. June looks like it will be busy this year that’s for sure. At the start of the year I made a resolution to not spend any money on triathlon related things within January. Well that lasted 13 days, longer than I thought in fairness, as I acquired a Polar FT7, some new tyres, some inner tubes and some patches. Good to get the balance back of spending! So I have entered the world of heart rate monitoring, and I am not afraid to admit it has confused the hell out of me. Thanks for all the help and pointers from various folks on twitter I think I will be able to overcome the shortcomings I deem with the process and hope over the coming weeks to have a bit more confidence with what it is telling me I am doing vs. what I think I should be doing. 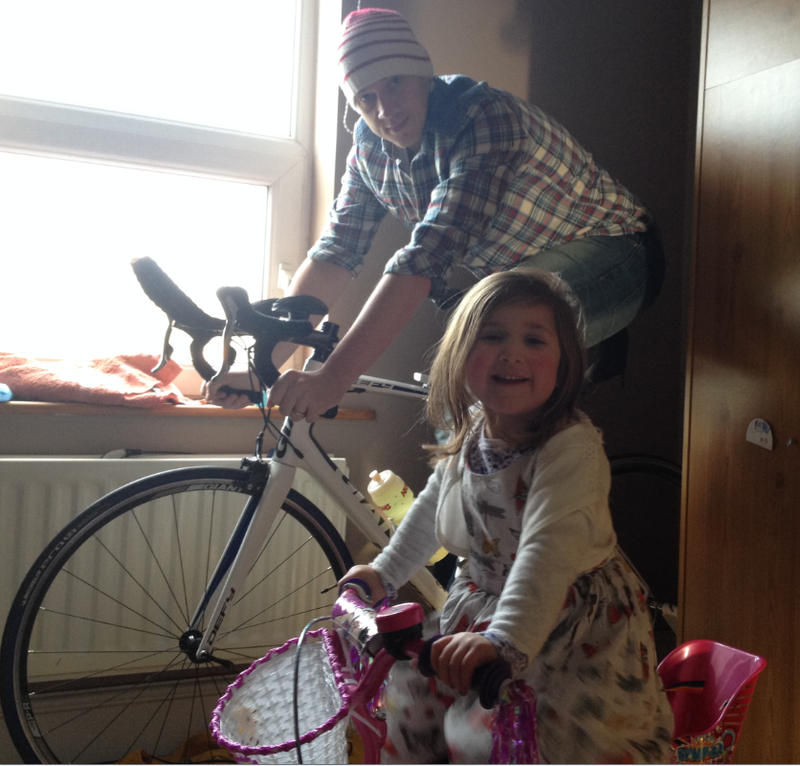 Who would have thought it would be so difficult – after all it’s only a bit of swim, bike, run isn’t it? I think I shall go back to burying my head in the sand. There are no numbers down there. Quick note – after a joking request to David Akers (@bigdaveakers) I have potentially sourced this master to teach me and a few others the ways of his fish like abilities. The date and time and location haven’t been fully sorted, however it will be north wales somewhere – so if you fancy learning from a genuinely inspirational teacher drop me a line as I need a ‘few’ of us to make it worth everyone’s time. With that in mind, I am planning on actually visiting the pool this week – for the first time this year. Should be ‘fun’.